With the increase of urban population, how to deal with the municipal waste has also become a major problem. Beston municipal solid waste sorting machine has provided a reasonable plan. The waste sorting machine from Beston Machinery can divide the municipal waste into six parts: the first is the inorganic material, which can be used in producing bricks or as the building material; the second part is the non-recovery combustible gas, and can supply heating resource for the plant after entering the pyrolysis system; the third is the organic material, sandy soil, which can be made into nutrient soil or organic fertilize after the natural fermentation; the forth is plastic, which can be used for making plastic granules or extracting oil from plastic waste; then is the steel and metal and are mainly for recycling. All of these materials can be recycled in the related processing system, which can save more resources and quiet the contradiction of energy shortage, as well as realize the comprehensive of the municipal waste. Waste sorting plant mainly includes the waste storage bin, hoisting feeding, cracker, screen, wind separator, gravity separator, magnetic separator and transportation, etc. 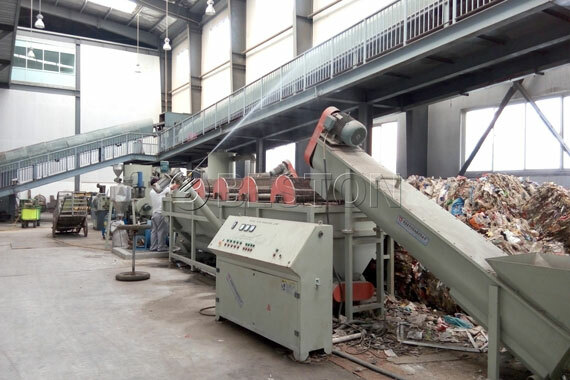 This kind of trash sorting machine can divide the waste into various renewable materials such as inorganic, organic, combustible material, plastic, steel magnetic material, and then conveying these materials into the harmless comprehensive treatment. Through this step, the waste can be used again. Firstly, put the waste into the waste sorting equipment, and then use the forklift to move the waste to balanced feeding machine from plate feeding system. Then crack the waste. Secondly, the municipal waste will be conveyed into the manual sorting platform to pick out the big waste such as the big furniture, clothes, bottles and even the glass, which can increase the recovery rate of waste material. Thirdly, the raw materials will be divided into two parts according to the different volumes through the sieving system. The one part is just like shoes and plastics, and the other part is the small parts which can enter the separator to get the heavy metal that can be used as the fertilizer. Finally, use the winnowing machine to separate the materials again, which can obtain the plastic, organic and metal materials. 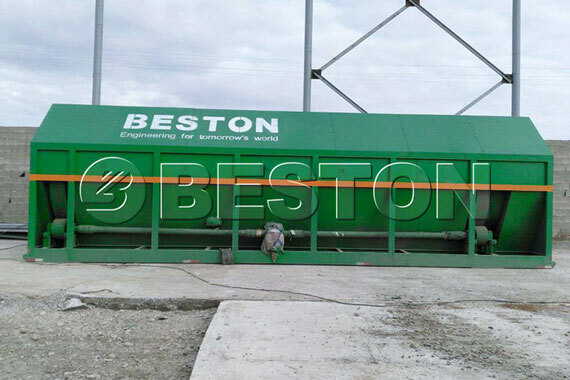 Beston garbage sorting machine mainly adheres to the design of reducing process capacity and turning waste into treasure. The waste recycling machine has used various measures to separate large of useful material. Besides, the PLC control system can control the whole operation process. The unique sealed deodorization system which has efficiently connected with the aromatic ester spray deodorization system can control the odor of production workshop. Beston machinery manufacturing can make a safe, environmental, and economic waste sorting system. Based on the principle of reducing capacity and turning the waste into treasure to increase the recovery rate, the plant utilizes various sorting methods to separate the organic, plastic, metal, bricks from the living waste as much as possible. Our waste sorting plant has a wide applications either in the living waste or mine waste. 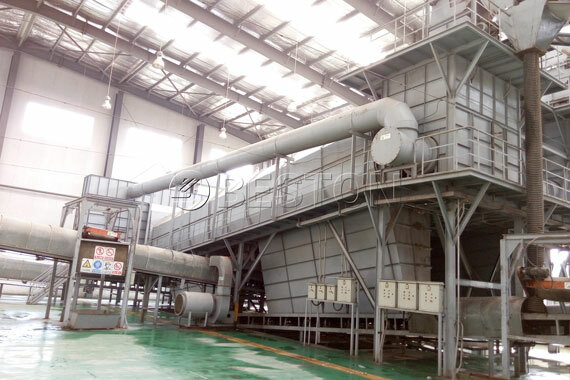 The sealed transfer device and dedusting system can efficiently control the dust and fly ash in the process of waste treatment. The unique durable and anti-corrosion technology can largely extend the service life of plant, and the reasonable structure has a contribution to the installment and transportation. Beston Group will make the best design and configuration according to the waste sizes and components that clients offer.